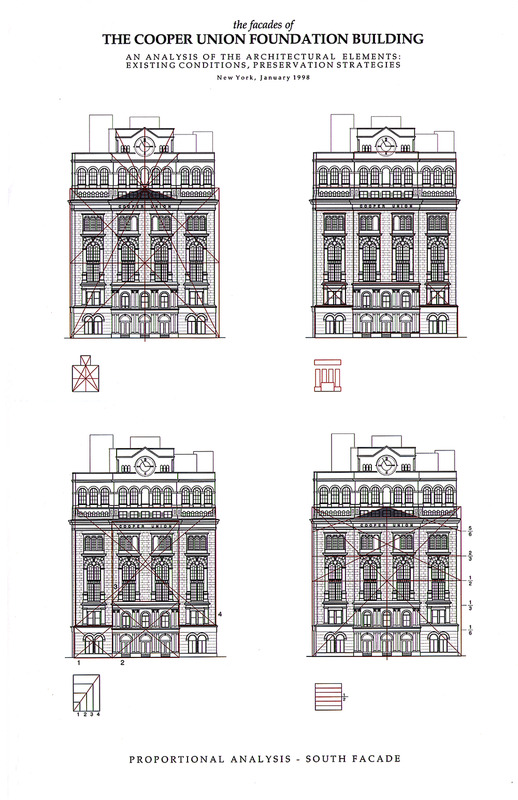 In 1998 Bone/Levine Architects prepared for The Cooper Union for The Advancement of Science and Art a document prescribing the specifics of a long-term comprehensive renovation program for the historic Foundation Building. Services included the preparation of a complete set of survey documents, forensic research, preparation of wall sections indicating construction assemblies and architectural features, documentation of the history of alterations, coordination of various sub-consultants (windows, stone repair, etc.) 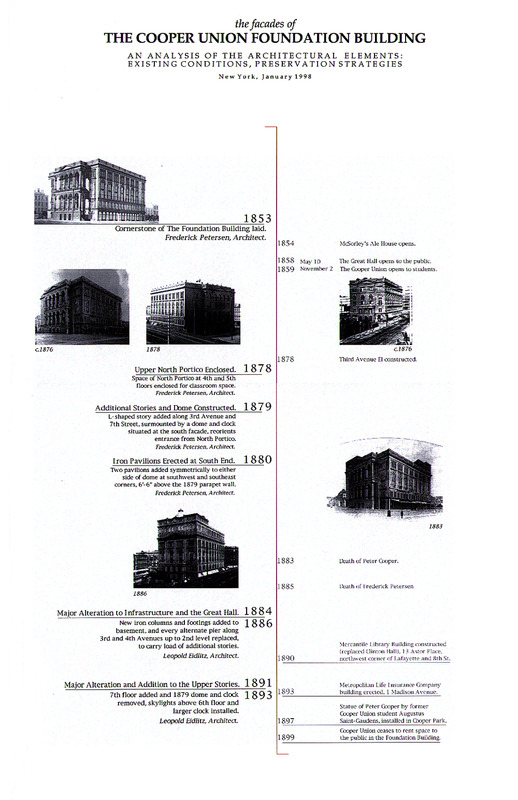 and development of details, scope of work and execution strategy for the renovation.